Home › News & Info › News › No more load-shedding? According to the minister of public enterprises, Pravin Gordhan, Eskom has committed itself to keeping the lights on this winter by adding additional generating units to the grid and limiting the amount of generating capacity lost to unplanned outages. Speaking to a large media contingent at a hurriedly arranged media briefing at the Lethabo power station in Free State, Gordhan said that Eskom’s so-called “winter plan”, proposed by the technical task team which had been appointed by President Ramaphosa, includes adding two new generators – one at Medupi and the other at Kusile – and returning two older units to service (Kriel Unit 2 and Matla Unit 5) as soon as possible. The older units could be back online as early as late April and mid-May, respectively, he said. Together, these four generators would provide an additional 2250 MW to the grid. To make this possible, an additional R4,5-billion will be spent at Medupi and Kusile to get the next two units onto the grid, according to the power utility’s CEO, Phakamani Hadebe. 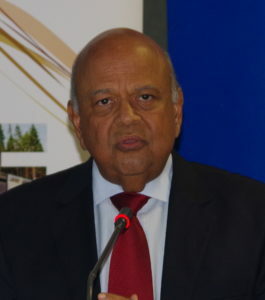 Gordhan said that Eskom has, on paper, 46 000 MW of generating capacity, excluding the 4000 MW from renewable energy (RE) produced by independent power producers (IPPs). However, at present, the utility can only supply 29 800 MW, not counting the RE from IPPs. The demand is often higher than this, Gordhan said, leading to Eskom having to request heavy industry to reduce load. South Africans should be encouraged to use electricity sparingly as this will assist in reducing the likelihood of load-shedding. He said that large energy users will be incentivised to reduce load during periods of peak demand, and that Eskom will manage the network in such a way as to limit unplanned outages to a maximum of 9500 MW. The minister stressed that Eskom and his department are aware of how critical a reliable, affordable and dependable source of electricity is to the country and that every effort will be made to ensure that load-shedding is not re-introduced unless deemed absolutely essential. In that regard, should rotational load-shedding become unavoidable in the coming months, it will be limited to Stage 1 (a reduction of 1000 MW) and would not last for longer than 26 days over the entire winter period. Coal-fired power stations should have a lifespan of 50 years, Gordhan said, but to ensure that they operate reliably for so long, intensive maintenance should be done at the power station’s “half-life”. Half-life intensive maintenance has not been done at most of Eskom’s power stations, he said. To address this, Eskom has budgeted R49-billion for maintenance over the next five years. 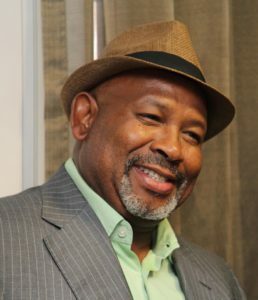 Jabu Mabuza, Eskom’s chair, said that although some people have suggested that further work on Medupi and/or Kusile be abandoned, this would not be in South Africa’s best interest, since it would leave the country reliant on the older power stations only. Instead, he said, the power utility will invest a further R36- to R48-billion for the completion of these two new coal-fired power stations. Full supply of electricity from Mozambique’s Cahora Bassa hydro-electric scheme should be available soon, too, which will help the situation, Mabuza said. 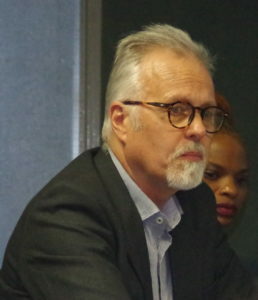 Regarding Eskom’s financial sustainability, Prof. Anton Eberhard, the chair of the Eskom sustainability task team, said that the power utility’s financial problems result from its inability to cover its operational costs and debt-servicing obligations from income received from the sale of electricity. The utility is over-burdened by debt, he said, adding that new debt is becoming more expensive since it is extended at higher interest rates due to the utility’s falling credit rating. According to Prof. Eberhard, the only way in which Eskom can become financial sustainable is for it to reduce cost and increase revenue. The team proposed the unbundling of Eskom into three separate dedicated units, Generation, Transmission and Distribution, as it would make each part more efficient and might enable the units to attract investment thereby increasing liquidity, making them less reliant on the state for bailouts. A full report from the sustainability task team is expected by the end of April 2019. The post No more load-shedding? appeared first on EE Publishers.